That’s the narrative of a month-long ad campaign launched today by investors and public interest organizations. The goal is to persuade the SEC to require publicly traded corporations to disclose their political spending. Since the U.S. Supreme Court’s overreaching decision in Citizens United, corporations have had greater leeway to spend shareholder money to influence politics, but no new rules or procedures have been established to ensure that shareholders – those who own the corporations – are informed of decisions about spending in politics. Subway travelers who enter and exit Union Station in Washington, D.C. – a major transit hub near the SEC’s headquarters – will see every available ad space taken up with comic strip-style illustrations of frightened investors and voters calling on SEC Chair Mary Jo White to save them from monsters that have taken shareholder democracy hostage. SEC Chair Mary Jo White is depicted as a superhero who can rescue them from dark money threatening their investments, but where is she? The ads will be promoted by a social media campaign centered around #WhereIsMJW and including an animated video. The ads and video, available at www.WhereIsMJW.com, are part of a push by the Corporate Reform Coalition to ensure that shareholders and voters know how much corporations spend to influence elections, and which races they fund. The ads were paid for by Avaaz, Public Citizen, Common Cause, U.S. PIRG, Greenpeace, the International Brotherhood of Teamsters and Communications Workers of America. A petition requesting the rulemaking was filed in 2011 by a bipartisan committee of leading law professors. A record-breaking million-plus comments have been submitted to the SEC from retail and institutional investors in support of a rule. The comments have come from diverse sources such as John C. Bogle, founder and former CEO of Vanguard; more than 70 current and former members of Congress; five state treasurers; the Maryland State Retirement Agency; US SIF: The Forum for Sustainable and Responsible Investment; and a large group of firms managing more than $690 billion in assets. As evidence of strong investor concern about political spending, in the past five years, shareholders have filed more than 500 resolutions on corporate political activity. In 2014, resolutions on political activity were the highest scoring proxy proposals, and four proposals received majority support despite opposition from corporate management. This year, investors have filed more than 110 proposals around corporate political activity – more than a quarter of all shareholder proposals filed. At meetings in April and May, shareholders will go up against some of the largest companies in the world, but most will not achieve the disclosure they deserve. The ad campaign is designed to spotlight the fact that SEC Chair Mary Jo White is the superhero with the power to end the menace of dark money in investments. – Jim Hoffa, general president, Teamsters. The Teamsters invest more than $100 billion in the capital markets through affiliated pension and benefit funds. 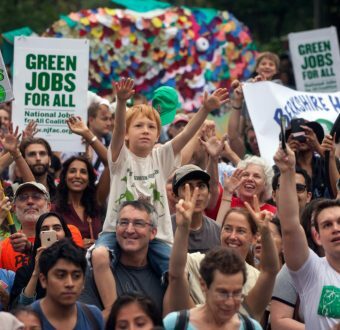 The Corporate Reform Coalition is made up of more than 75 organizations and individuals from good governance groups, environmental groups and organized labor, and includes elected officials and socially responsible investors. The coalition seeks to promote corporate governance solutions to combat undisclosed money in elections. For more information, please visit www.CorporateReformCoalition.org.